Blackheath & Elthamians Hockey Club (BEHC) travelled to Basingstoke Hockey Club to play their rearranged Cup Quarter Final on Sunday. Having got past a resilient team in Sunbury & Walton Hawks in the previous round from the same league, the 1st XI knew a hard game was in store on the back of playing in a tough games against Staines in the league the day before. BEHC started well with a high press, which lead to a couple of early chances that we were unfortunate to come away without a goal. After the first ten minutes the game started to open up with many turnovers from both sides, causing plenty of breaks from both sides. BEHC started to control the middle more with some fluid play from left to right with Lewis Burnham and Luke Bowman working well on the right hand side leading to a short corner which BEHC were unable to convert. Against the run of play, a turnover high in the Basingstoke half led to an aerial which BEHC failed to secure and a break away effort was slotted in by Basingstoke to make it 1-0 to the home team at half time. After words from encouragement from Skip/Coach Chris Harden BEHC started well and got a goal back early. 5 mins into the second half Ed Fleet drove the ball out of defence towards the right hand side linking well with Charlie Sid Speller which created a 3 v 2 and allowed him to slip the ball to David Lawrence who coolly took it round the keeper to make it 1-1. Now the cup tie was ready to start. 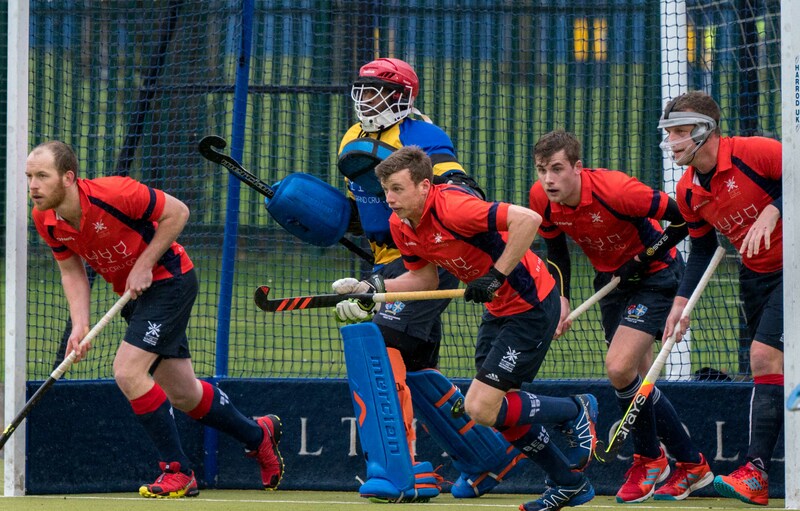 This was a familiar game for BEHC with a lot of counter attacking hockey, the 1st XI found easy gains from short quick passing, but failed to put away chances. At 1-1, a rather questionable rolling ball start from a 16 caused a break away for Basingstoke and a 2 v 1 against Keeper James Craigmyle. Luckily the Basingstoke player got scared of James and he bottled it, keeping the scores 1-1. That chance was a bit close for comfort and it was necessary to just keep control the game in the likelihood that a chance would come. And so it did, a short corner awarded and BEHC performed a routine that left Josh Self ready to slot a flick high to the keeper’s left to make it 2-1 with 8 to go. BEHC then saw the game out well, despite Basingstoke throwing the kitchen sink at us and even included a kicking back being bought on for the home side. The final whistle blew and after a 2-1 victory BEHC continue on the road to Lee Valley with a home time against either Oxford or West Wilts, with a third cup final in 3 years within their grasp.